Held on the first Saturday in September, the Moreton-in-Marsh Show is one of the largest one-day agricultural shows in the UK, attracting over 20,000 visitors from far and wide each year. With all the charm of a traditional country show, Moreton Show really does offer something for everyone. 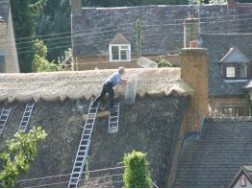 Competitions are held for horses, cattle, sheep, goats, poultry, dogs, crafts, flowers and even scarecrows. There are also over 300 trade stands selling everything from farm equipment and gardening gear to designer clothes and toys, as well as a wide selection of food and drink. 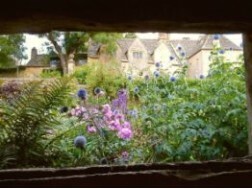 Moreton Show was first staged in 1949 on a parkland setting on part of the Batsford Estate which it has occupied ever since, though much extended. There are no permanent buildings, but variety of marquees and hurdle pens to produce a true country show atmosphere. Today's show is a far cry from the first show 65 years ago, with its diverse range of entertainment and attractions and its myriad trade stands. But the show's underlying purpose has always been to improve the standard of farming and farm crafts locally. The Moreton-in-Marsh Show has been faithful to its founding fathers in that it has not neglected its educational mission and its effect on farming standards and on public appreciation of farming has been considerable. The original objectives of the Show Society were to improve the breeding and rearing of livestock, hunters and heavy horses and the standard of farming and farm crafts, with a show to be held each year in September. This zeal for improvement was at the core of the three societies which merged to form the present Moreton-in-Marsh Show Society - the Cotswold Agricultural Society, the Moreton Shire Horse Society and the Moreton-in-Marsh and District Agricultural Society. The Moreton-in-Marsh & District Agricultural Horse Show Society Show (to give the show its full name) has involved the local community from the outset and only survives from the support of people from all walks of life. The remarkable thing about Moreton Show is how many volunteers are involved, not just on show day, but throughout the whole year. There is a real sense of the whole community coming together to enjoy a day out and share interests and experiences. Almost all the town gets involved in one way or another and competitions are held amongst the shops on the High Street. Although generally regarded as a one-day show, the Moreton-in-Marsh Show does actually hold various farm and crop competitions that go on throughout the year, so it is by no means a one-day-a-year phenomenon. The Moreton Show won the prize for the Tourist Event of the Year in the 2014 Cotswold Tourism Awards. 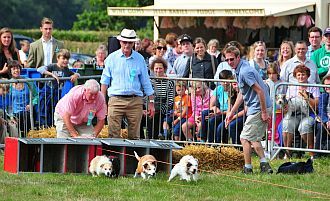 The 2017 Moreton Show takes place on Saturday, September 2. September 3, 1949: The initial Moreton-in-Marsh Show was held, proving to be the biggest event ever to have been held in the North Cotswolds, drawing an attendance of 2,000 people. The highest cash prizes were £6 for the horse and cattle champions and £2 for the champion crops, though it has always been the winning and not the reward that has been the spur at the Moreton-in-Marsh Show. 1952: The Moreton-in-Marsh Show was called off for the first time, due to a foot-and-mouth outbreak in nearby Upper Slaughter. 1967: Another major milestone when the Poll Hereford Breeders' Association decided to hold their annual Show at Moreton-in-Marsh Show. 1970: An Attractions Committee was appointed to organise a programme for members of the public not primarily interested in farming. 1971: A variety of countryside events, such as gun dog trials, donkey and terrier racing, a clay pigeon shoot and a display of vintage steam engines and threshing machines were introduced. 1976: This year was the first time a plaque was awarded for the best show window display in Moreton during show week which has helped to further involve the local business community with the Moreton Show. 1986: The Show Society took the most important step in its history by buying a house in Oxford Street, Moreton-in-Marsh, to serve as its headquarters. The society's work goes on all year round, but obviously builds up during the final weeks before the annual show on the first Saturday in September. 1986: This year saw Miss Georgina Attwood's services to the Moreton-in-Marsh Show nationally recognised in the New Year's Honours when she was awarded an MBE. 1989: The Society elected a woman chairman for the first time, Mrs Betty Woolliams. 1997: The show was held on a Sunday for the first (and only) time due to the funeral of Diana, Princess of Wales, which was held on the scheduled show day, Saturday, September 6. 1998: Matt "The Kangaroo Kid" Coulter soared 35.06 metres over a line of 12 four-wheel drive vehicles to set up a stunt leap world record at the Moreton Show. 2001: Foot-and-mouth disease affected the show, and consequently a food fair was held to enhance the show. This led to the awards for National Small Food Producers being hosted by the Moreton Show in 2002 and from this the establishment of the food retail marquee. 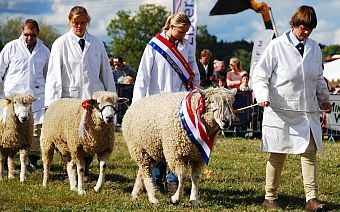 2008: Livestock presence at the show was threatened by blue tongue and the entire show was cancelled following extremely heavy rain leading to unmanageable ground conditions. 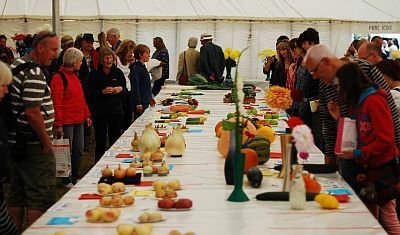 The majority of the Home & Garden classes were judged in the Redesdale Hall but the Show Society lost £200,000 in revenue. 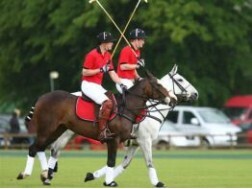 The president of the 2008 show, Richard Sipthorp, and his wife had travelled over 11,500 miles from New Zealand to attend the cancelled show.